Jancis Robinson OBE MW, one of WSET’s most recognised alum, talks to WSET about JancisRobinson.com sponsoring the WSET Outstanding Alumni Award and what excites her about the future of the industry. JancisRobinson.com has kindly partnered with us to recognise the outstanding contributions WSET Diploma graduates go on to make to our industry. Why did you want to be involved in this initiative? Now that there are as many as 9,000 WSET Diploma graduates spread so widely throughout the world, it seems appropriate to recognise the contribution of the best of them. At JancisRobinson.com we are also in the business of educating wine lovers around the globe (we have members in 100 countries) so we see ourselves as complementing the WSET – not least because all our members have exclusive access to the most up to date version of The Oxford Companion to Wine. Do you think enough is currently done within the wine industry to foster and encourage talent? Probably not. It has so far been a rather haphazard process driven more by particularly promising green shoots thrusting upwards to become unignorable rather than by the industry assiduously watering those shoots with praise and acuity. Now that there are as many as 9,000 WSET Diploma graduates spread so widely throughout the world, it seems appropriate to recognise the contribution of the best of them. The industry has changed considerably since you graduated with your Diploma in 1978 as the top student, and as one of the first women embarking on a career in wine. While gender balance has come a long way, what more could the industry be doing to encourage diversity? Women do very well when self employed but there is still in the wine trade - as admittedly elsewhere – a reluctance in companies and corporations to hand the top jobs to women. We still see evidence of an old boys’ club, I’m afraid – extraordinary as this may be in this day and age when the last 11 top students in the Diploma exams have been women, even though they represent about 40% of all students. And as for ethnic diversity, don’t get me started! You’re a vocal supporter of WSET. In this digital-age of information-on-demand why do you believe structured formal study and tasting skills are still relevant? Because the WSET ensures that you learn about all aspects of wines and spirits and not just those that happen to interest you. 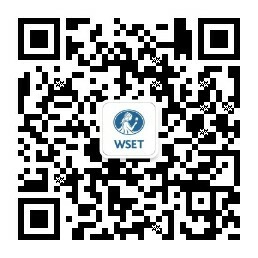 I also admire the fact that the WSET now continually updates its curriculum. What advice would you give to today’s wine professionals who want to make their mark on the industry? Be good, be humble, be outstanding, be serious, be fun, be kind. Remember that wine is all about sharing, and that you will never know it all. And finally, what excites you most about the future of the industry? The fact that, unlike when I graduated in 1971 and didn’t even dare say that I wanted to work in wine (or food) because I knew that those subjects then were seen as terminally frivolous, wine is now recognised as a very serious subject with huge social respectability. The wine community is now truly global – with the WSET having played an important part in that geographical spread. So I know that wherever I go in the world, I am almost certain to meet someone who feels they already have a relationship with me, through The Oxford Companion to Wine, The World Atlas of Wine, the Financial Times and/or JancisRobinson.com! Jancis Robinson completed the WSET Diploma with WSET School London in 1978. She was awarded the Vintners' Cup prize in the same year for achieving the highest mark in the Diploma.